I'm a freelance writer currently living the Australian dream in Sydney, originally from the UK. Have you ever dreamed about running away with the circus? Well now there is no need as you can learn circus silks here in Sydney. Wild Spirit Productions are currently offering free beginner trial classes of aerial silks (Monday, Tuesday and Saturday) and aerial hoop (Tuesday). Wild Spirit Productions is an exciting aerial arts production company who has its own rehearsal and training centre for all people of abilities to attend. You do not need to be strong or flexible (I am neither of these two things and have been going back for months). That said, you may arrive with no strength or flexibility, but you will rapidly see your abilities improve lesson by lesson, although it may seem tricky at first. The sessions 'fly by' and barely feel like a work out, instead you find yourselves having fun learning new techniques with new friends in a relaxed atmosphere. You can be any age, with classes for kids, teenagers and adults in a safe environment, the instructors are easily able to cater certain tricks for your abilities. 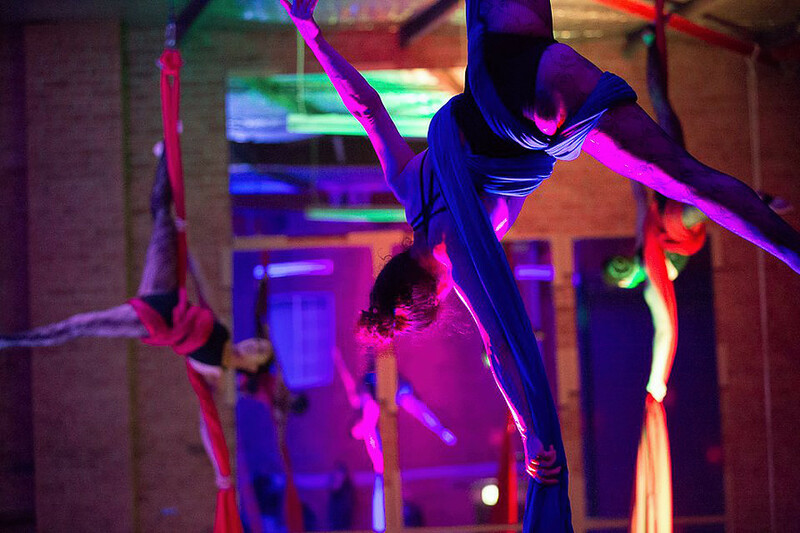 Full classes available include, aerial hoop (also known as lyra), aerial silks, trapeze, flexibility and handstands. Classes are held at the Wild Spirit Productions training centre located at 1/42 William Street, Botany, NSW 2019, Sydney.